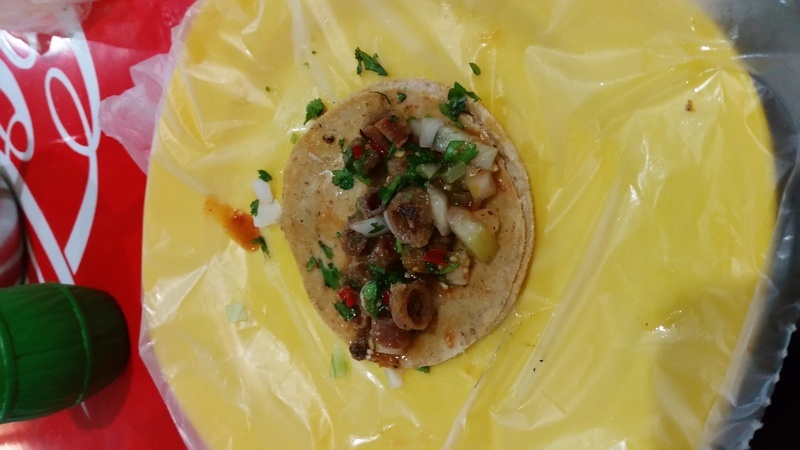 Just north of the plaza/market and across the street is a place that churns out the best tacos de tripas I have had around here yet. They are fried to a crisp and tastes almost like bacon. I love Chuy's. I just wish they would open earlier.